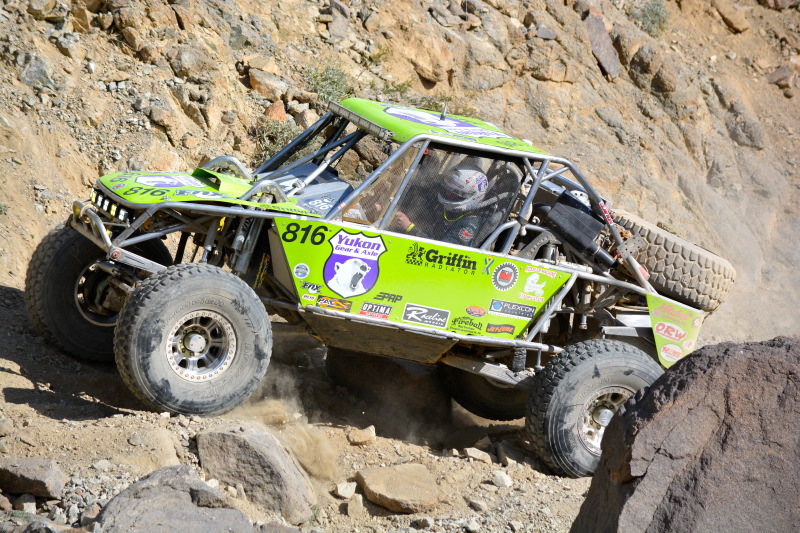 GARDEN GROVE, CA FEBRUARY 13, 2014: Raceline Wheels is always a major part of the Griffin King of the Hammers, and 2014 was no exception. Among the major events of the week Raceline Wheels co-sponsored the newest challenge: King Shocks Shootout at Backdoor, hosted the best ever Volunteer dinner on Thursday night, saw over half of the field of racers start on Raceline Wheels and had fun clocking 101mph in the Raceline BFGoodrich Teraflex Jeep as it rolled 10,000 miles. “Every year we look for something different to sponsor and this year it was the Backdoor Shootout. What a blast! The guys and gals really put on a show for everyone!” said Greg Mulkey, Raceline Offroad Brand Manager and one of the two commentators for the evening’s events. Raceline provided the trophies and unique awards for the participants. Overall winner Randy Slawson also received the Fastest West Coast Award. Fastest East Coast Award, and the winner of the set of RT233 Monster Beadlock Raceline Wheels for the “Raceline Right Line”, was Luke Wilson. 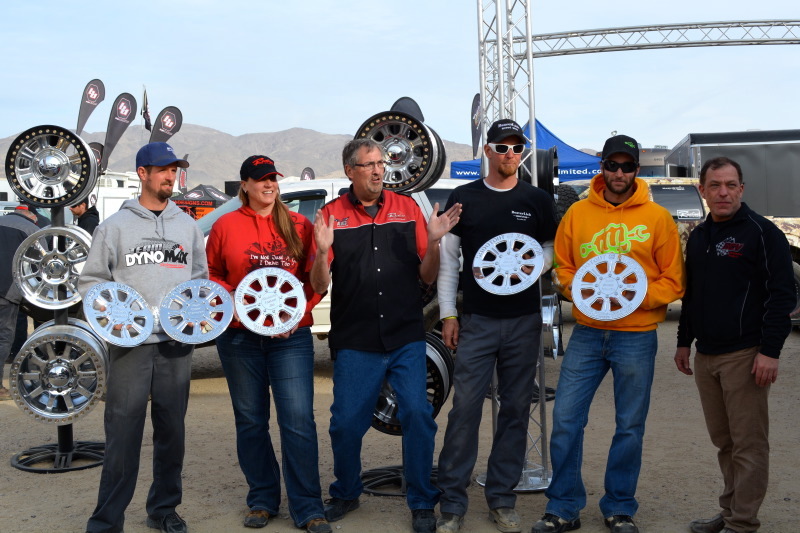 The RCV Crowd Favorite was Matt Myrick of Busted Knuckle Films and the Fastest Girl Up Backdoor was Charlene Bower of Bower Motorsports Media. For the 5th year running, Raceline Wheels hosted the Volunteer Dinner on Thursday night. “This was the best Volunteer Dinner yet! We went around during the day and collected items from companies in vendor row to give out during the dinner. 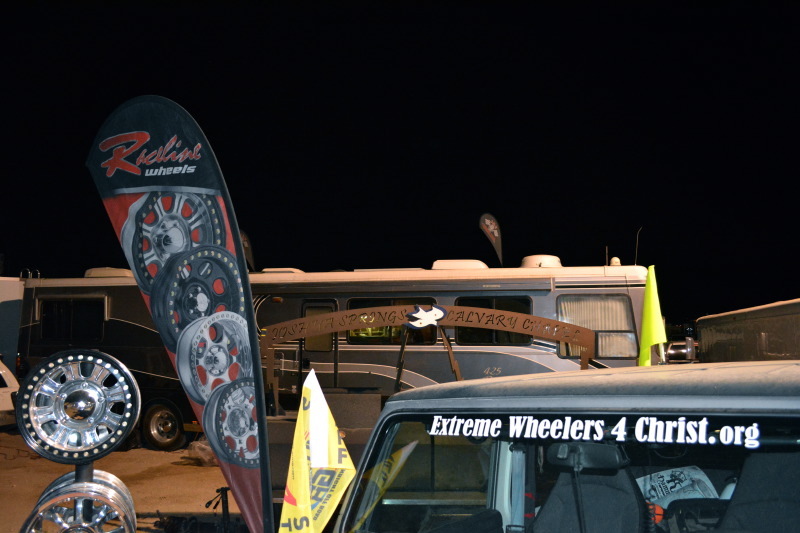 The volunteers were all smiles and extremely thankful.” The taco dinner is in conjunction with Extreme Wheelers 4 Christ in Yucca Valley.